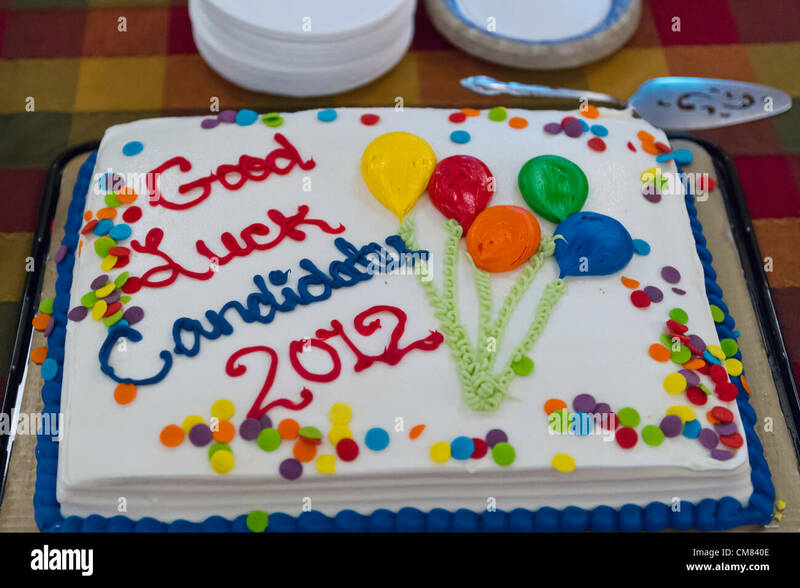 Oct. 23, 2012 - Merrick, New York, U.S. - Good Luck Candidates 2012 cake at the South Merrick Civic Association and North and Central Merrick Civic Association's 4th Annual Meet the Candidate Night held by civic associations of Merrick, with many in the area in new congressional and assembly districts. After each candidate for Congress, New York State Senate, Assembly, and courts spoke to the audience, community members could ask additional questions in the lobby. 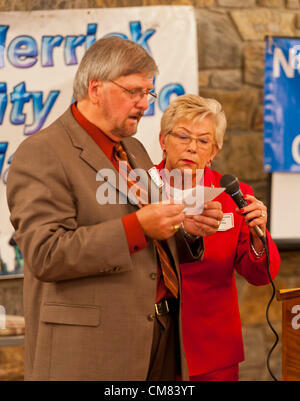 Oct. 23, 2012 - Merrick, New York, U.S. - Congresswoman CAROLYN MCCARTHY (D) in red suit, and JOE BAKER, President of South Merrick Community Civic Association, read question from audience member at the 4th Annual Meet the Candidate Night held by Merrick civic associations, with many in the area in a new congressional district. 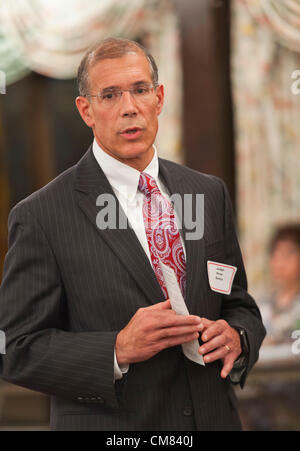 Oct. 23, 2012 - Merrick, New York, U.S. - At left, FRANK SCATURRO (C), a challenger running for Congress, spoke at the 4th Annual Meet the Candidate Night held by civic associations of Merrick, with many in the area in a new congressional district. 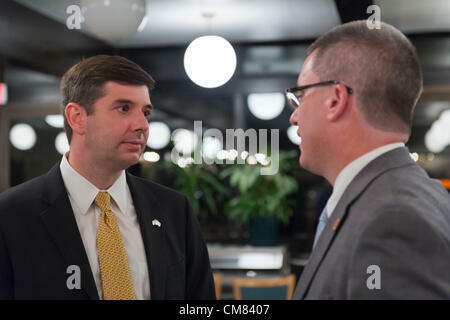 After briefly addressing the audience, each candidate then went to the lobby where individual community members asked more questions. 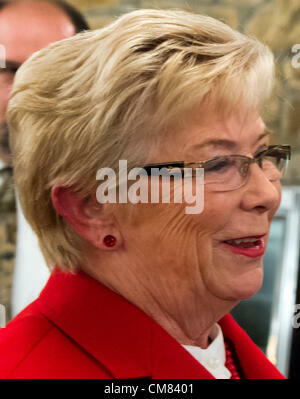 Oct. 23, 2012 - Merrick, New York, U.S. - Congresswoman CAROLYN MCCARTHY (D), in red suit, spoke at the 4th Annual Meet the Candidate Night held by civic associations of Merrick, with many in the area in a new congressional district. After briefly addressing the audience, each candidate then went to the lobby where individual community members asked more questions. 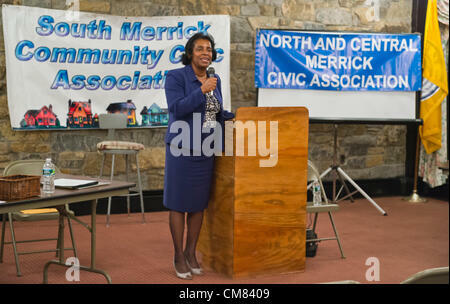 Oct. 23, 2012 - Merrick, New York, U.S. - Judge VALERIE ALEXANDER, running for re-election to District Court, spoke at the 4th Annual Meet the Candidate Night held by Merrick civic associations. 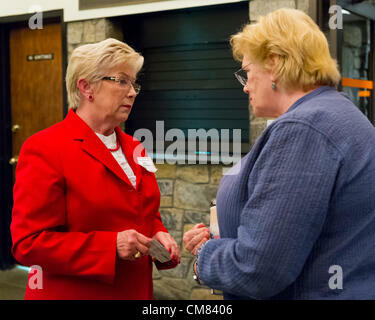 After each candidate for Congress, New York State Senate, Assembly, and courts spoke to the audience, community members could ask additional questions in the lobby. 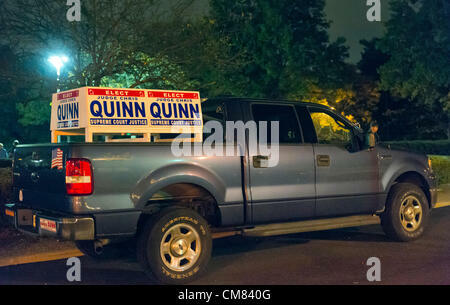 Oct. 23, 2012 - Merrick, New York, U.S. - 4X4 Truck with large campaign signs - for candidate Judge Christopher Quinn running for New York State Supreme Court Justice, parked near entrance to Merrick Clubhouse, where the 4th Annual Meet the Candidate Night held by South Merrick and North and Central Merrick Civic Associations was taking place. Oct. 23, 2012 - Merrick, New York, U.S. - Judge PETER B. SKELOS, New York Supreme Court Justice running for re-election, spoke at the 4th Annual Meet the Candidate Night held by Merrick civic associations. 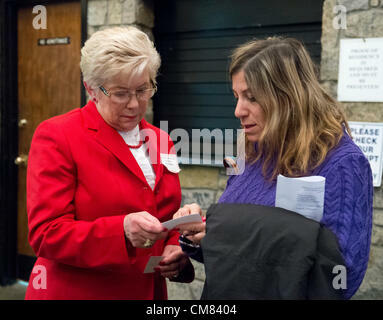 After each candidate for Congress, New York State Senate, Assembly, and courts spoke to the audience, community members could ask additional questions in the lobby.